 A gravity-defying arcade racing experience full of real dream cars and bikes. Asphalt 8: Airborne is a game for speed lovers and for those who love car races and adrenaline. 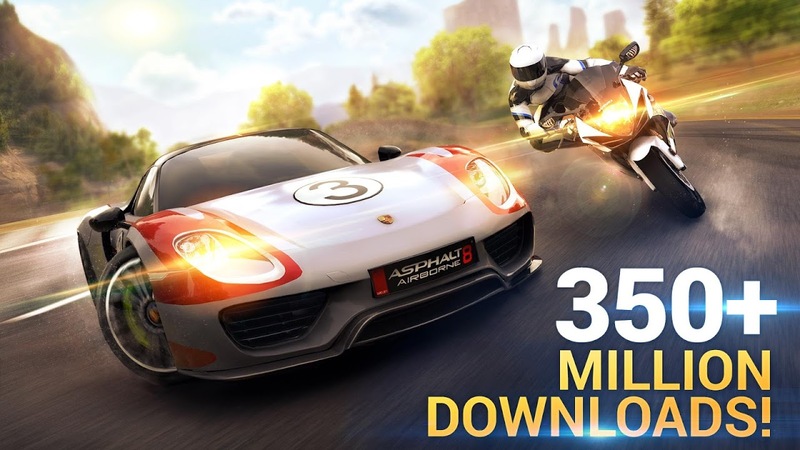 With more than 200 million players worldwide, you know you're in for great fun as you will be playing one of the best games when it comes to mobile racing games. The game is designed to improve your gaming experience and perfectly adapts to any mobile device, from tablets to phones. Choose between more than 140 manufacturers such as Lamborghini, Ferrari, McLaren, Bugatti, Mercedes, Audi, Chevrolet, among dozens of others. 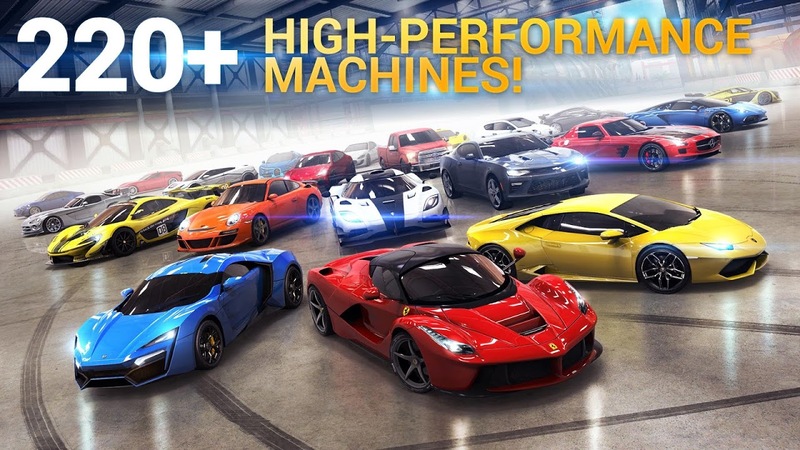 Asphalt 8: Airborne comes integrated with the best graphics in the industry, with realistic interactions between cars, tracks and environments, which will make you feel like you're on a real race. Experience the best Arcade Experience with more than 40 high-speed tracks which defy gravity and physics. You can take part in events to win big prizes and get special rewards. With all the game's content you'll never get tired of playing it. There are more than 1500 challenges that test your car mastery, as well as 5 different game modes, more than 400 career events and many other contents for single-player mode. If you wish to play with friends, select the multiplayer mode and experience the game with your friends (up to 12 players) by seeing who's the best racer and by daring them to ghost races. Build your car and choose from over 2300 decals to design a car that suit you best. Download now and please note that the game requires 1.8GB of internal storage space.  Is Asphalt 8: Airborne yours? Claim it!